The two-story bank building in the form of the letter П is a brick construction with a basement level, surrounded by towers. 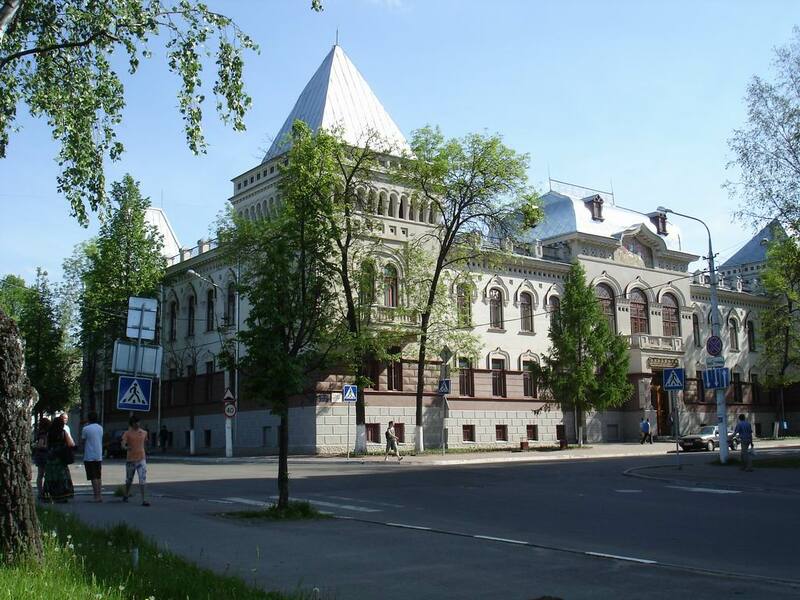 Tarasov, as an artist, who contributed his bold projects to the history of the city of Vitebsk made the main bulk and mass of the building large and expressive, effectively adding a variety of details. The architect showed the decoration in the style of old Russian architecture, featuring all kinds of melons and kokoshniki. The building turned out perfectly balanced, although somewhat asymmetrical. The towers at the Former Land-Peasant Bank, main in the composition, look interesting. The corner tower is crowned by a high tent made of three layers with a head, visibly changing the position of other objects. The forefront main facade, which faces Bauman Street (formerly Nikolskaya), is completed by a mosaic coat of arms of Vitebsk of 1781. It is made with rich colours and resembles another style well-known at that time, neoclassicism. Vitebsk Land-Peasant Bank is considered the best work of Tarasov, who promoted "neo-Russian" style of the architecture of Vitebsk. 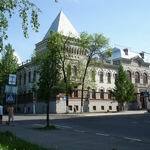 The architect did not blindly copied the already well-known historical form, he sought to create his own set of options, making a rich contribution to the culture of Vitebsk. 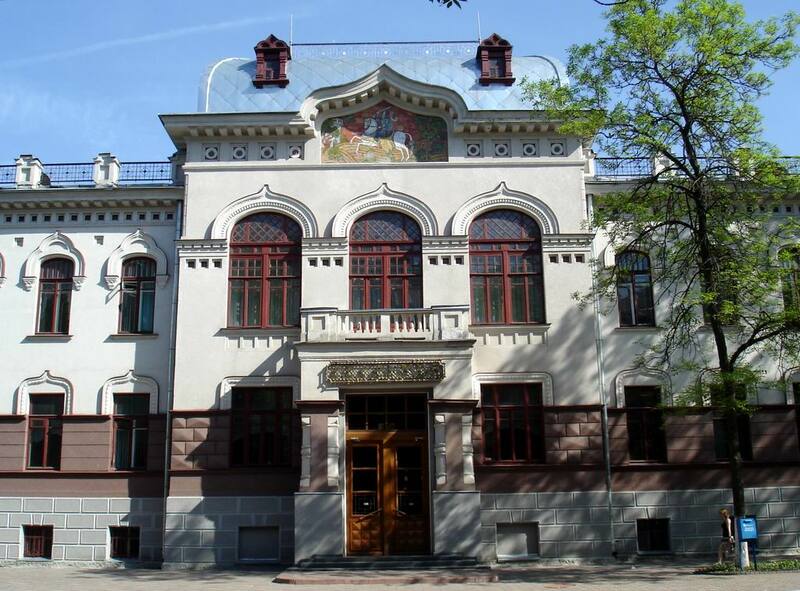 Now the Building of the Former Land-Peasant Bank hosts Vitebsk State Academy of Veterinary Medicine, founded in 1924, which went down into the history of the city of Vitebsk as one of the oldest universities. For over 80 years the Veterinary Academy has been training qualified veterinary doctors, pharmacists, veterinary experts, zoo engineers. Notably, the veterinary doctors in Vitebsk, the first in the CIS, began to practice humane treatment of animals. Doctors of Veterinary Academy refused cropping ears of pedigree dogs at the whim of the owner. In November 2011 in the academy opened a Monument to the Veterinarian (by sculptor Ivan Kozak). The sculpture in bronze depicts the figure of the doctor in full growth, with a calf and a dog sitting at his feet. On the same day, November 5, main building of the Vitebsk Academy of Veterinary Medicine was decorated with a memorial plaque to Nikolay Bauman, a revolutionary and a gifted veterinarian. Different periods in the culture of Vitebsk can be traced back in the Museum of Private Collections, located on the territory of the Academy. City portal VitebskCity.by offers description of exhibits of the museum, which stores the treasures of the antiquity and the new time. What else to see in tourist Vitebsk? 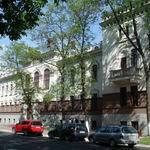 Of course, Frunze Park and the Building of Cultural and Business Center "Vitebsk", located nearby. 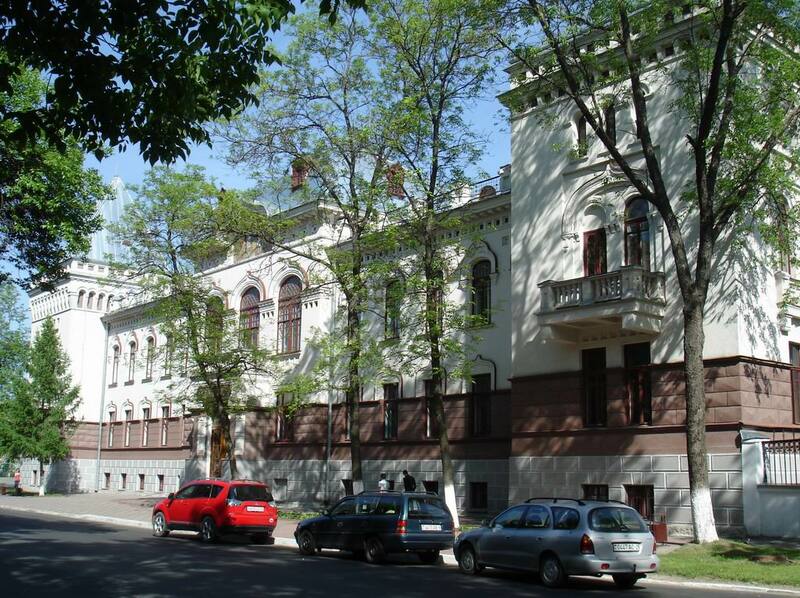 And of course, tourist Vitebsk would be boring without the transformed Building of the Medical University, the way to which from the Veterinary Academy on Dovator Street is only a couple of minutes. As Russian veterinarian Sergei Evseenko said: veterinary medicine saves humanity, human medicine saves human being. These words were written on a bronze scroll of the Sculpture of the Doctor. 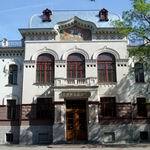 The Building of the Former Land-Peasant Bank, and now the Veterinary Academy, is located to the address: 7/1 Dovator 1st str., Vitebsk. Contact phones: Registry - +375 212 370737, the Rector`s reception - +375 212 372037. You can learn about others, not less wonderful sights of Vitebsk located near the Veterinary Academy on city portal VitebskCity.by.